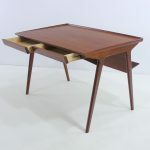 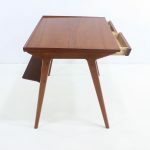 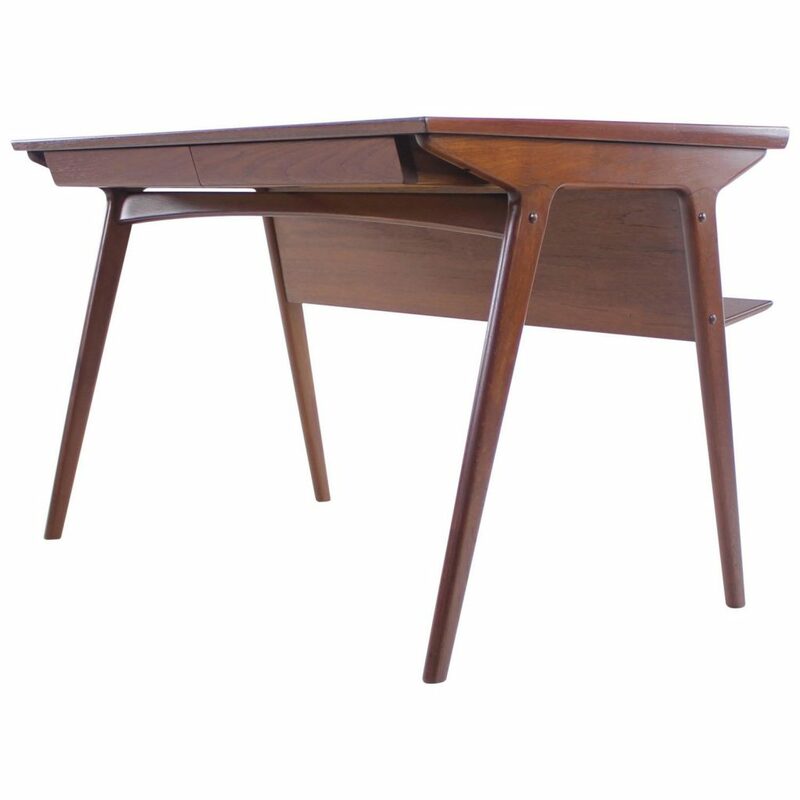 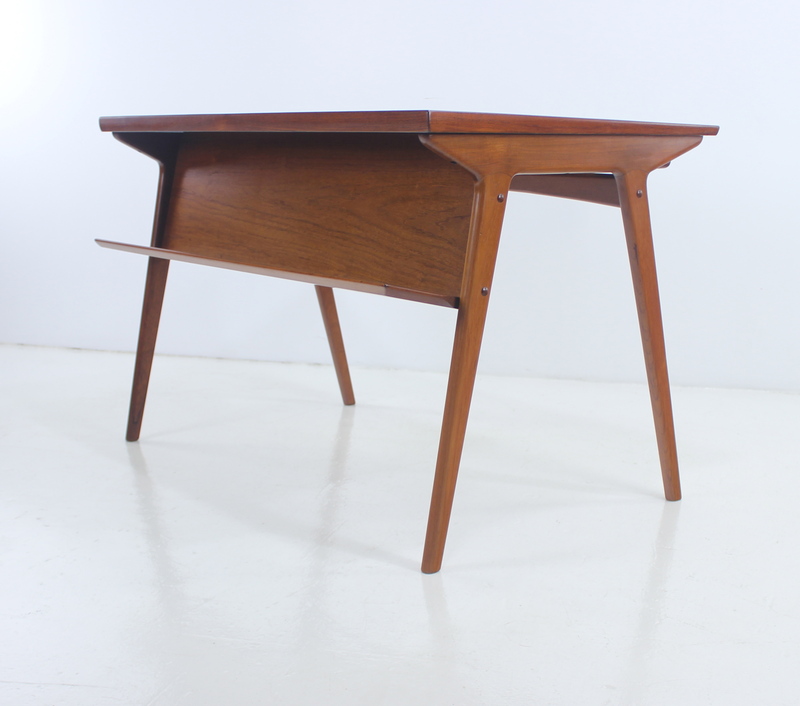 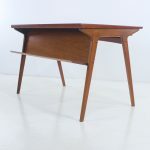 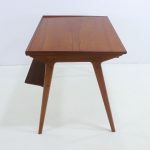 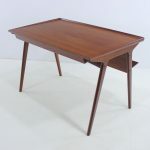 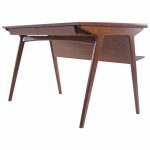 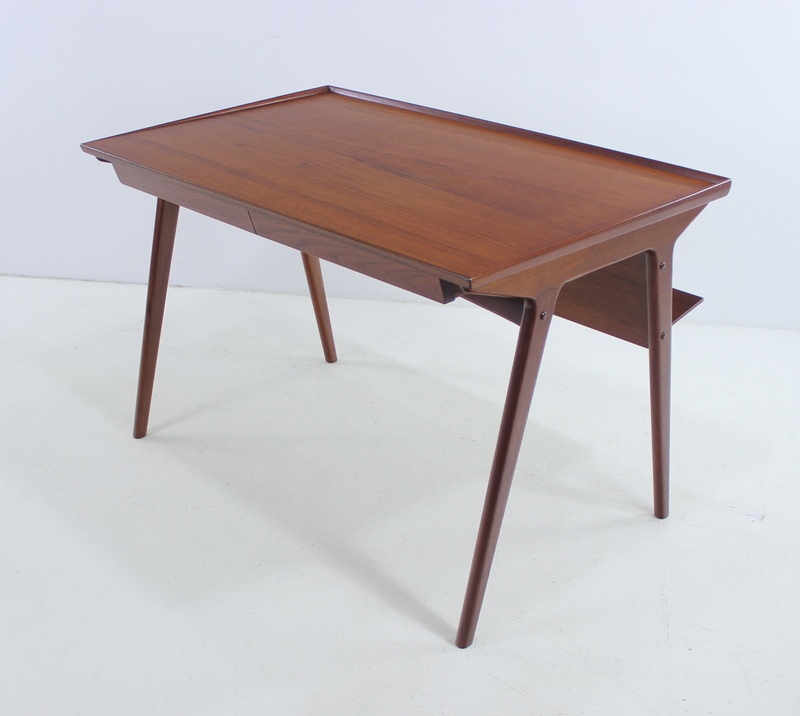 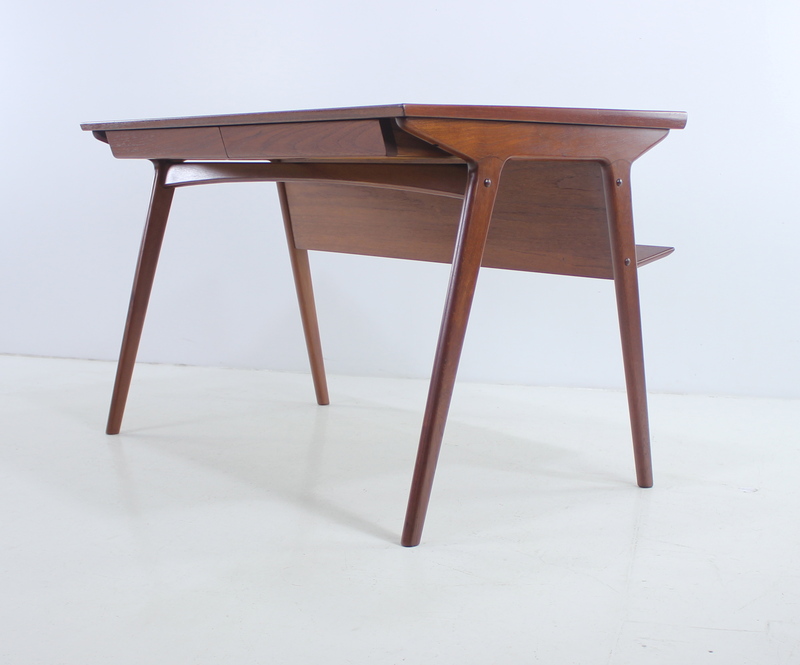 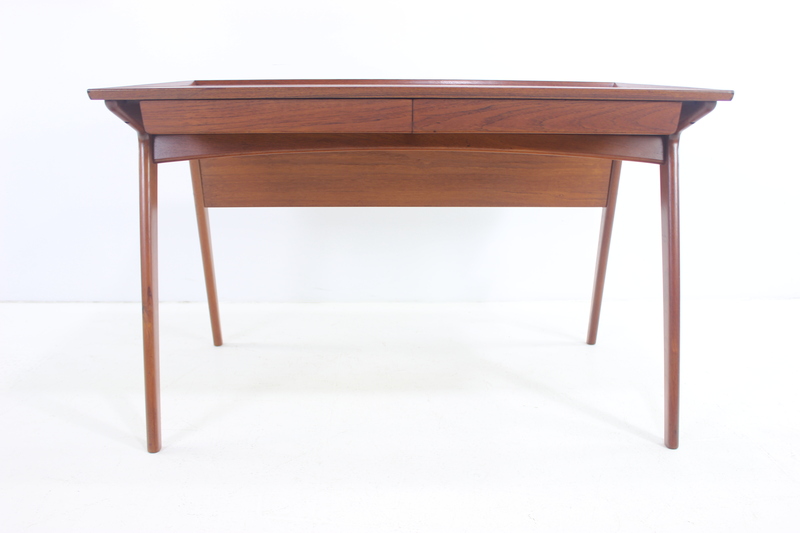 Danish modern desk designed by Harry Ostergaard. 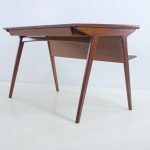 Quintessential Scandinavian modern style featuring utility, economy of line and supreme elegance. Slightly splayed U-shaped legs, raised lip on sides and back edge. 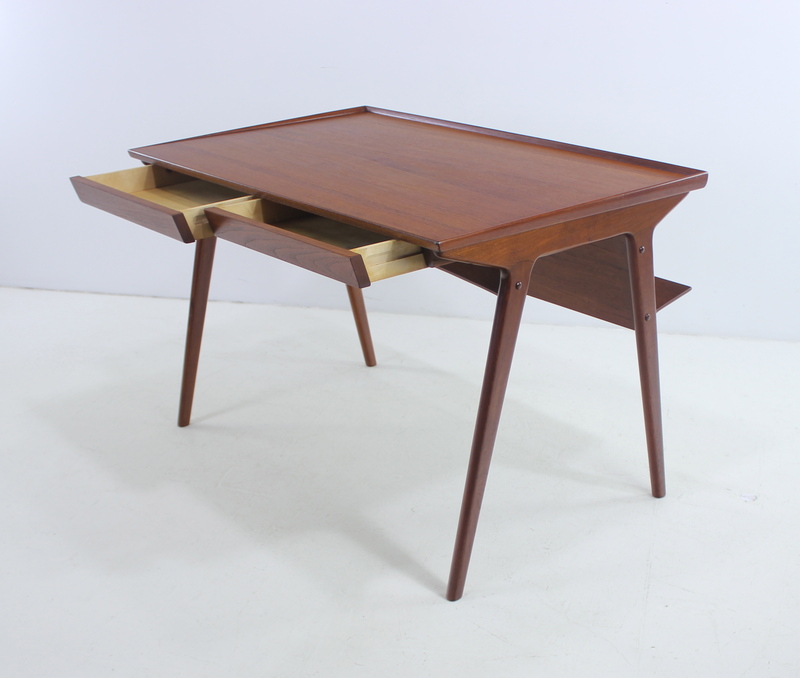 Two drawers on one side, bookshelf front on the other. 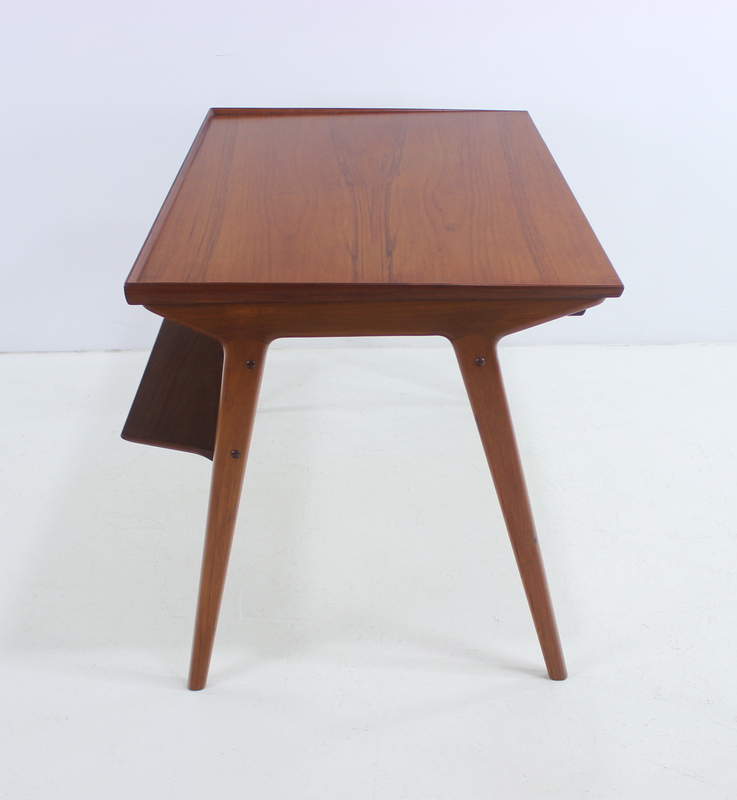 Top measures 29″ high at lower point. 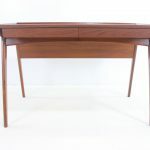 Professionally restored and refinished by LookModern.